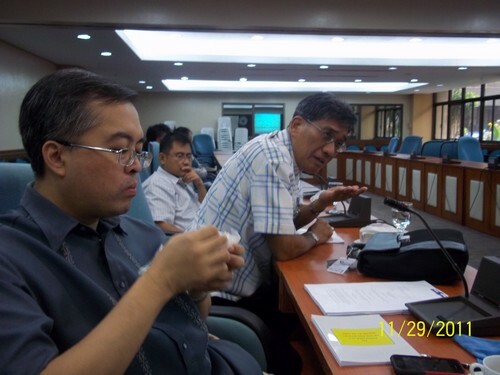 P AGASA’s Steve Cua attended the penultimate consultative hearing on Amendments to the Consumer Act of the Philippines in Congress with (L) Phil. Retailers Assn.’s Atty. Paul Santos and DTI’s Dir. for the Bureau of Trade Regulations & Consumer Protection (gesturing) to fine-tune amendments by this Technical Working Group before submission to the sponsors of the amendments covered by numerous House Bills.